kolinb has no other items for sale. Immediate payment of US $27.32 is required. I love Anker. 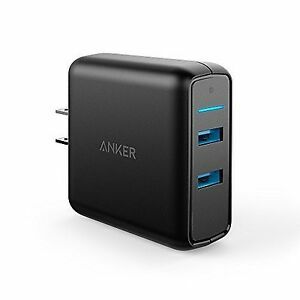 I have tried other brand but have to go back to Anker. The charging time is so fast. Normally when I charge my iPad, it would take at least 6-7 hours to get fully charged. With this Anker charger, it only takes 3 hours, half of the time. The only thing that I don't like is the plug is not foldable, other than that the best wall charger in the market. Well made product one of the best in market to keep your phone charged in the least time possible. Would highly recommend.